Cyclical unemployment is one of three types of unemployment where labor forces depend on business cycles or fluctuations in the economy, such as: expansions (periods of economic growth) and recessions (periods of economic decline). When the economy Command EconomyThe command economy is a type of system where the government plays the principal role in planning and regulating goods and services produced by the countryis at its peak or has continuous growth, the rate of cyclical unemployment is low, because during this period of production, sales and income increase, hence more people are needed to meet the demand. On the other hand, during a recession, the rate of cyclical or involuntary unemployment is high due to the decline in consumer demand for a company’s goods and services. In other words, there is a decrease in production; therefore, fewer workers are needed, resulting in job layoffs. The number of unemployed workers now exceeds the number of job vacancies in the labor market. How to Determine the Cyclical Unemployment Rate? One concrete example of cyclical unemployment is when an automobile worker is laid off during a recession to cut labor costs. During this downturn, people are buying fewer cars or vehicles, so the owner doesn’t need as many workers to meet the demand. But when the economy starts to power up again, and consumers begin to spend more of their money on buying vehicles, the unemployed worker may get rehired to meet the demand. High or low cyclical unemployment is only temporary. When the economy enters and re-enters business cycles, the rate of unemployment continuously changes. The typical time frame for a business cycle during a recession could last 18 months, but when the economy dips down to a depression, it’s 10 years. The unemployment rate is the percentage of the total labor force that is unemployed but actively seeking employment. The current figures for employed and unemployed individuals can be obtained from the National Statistics Agency or the Bureau of Labor Statistics offices. 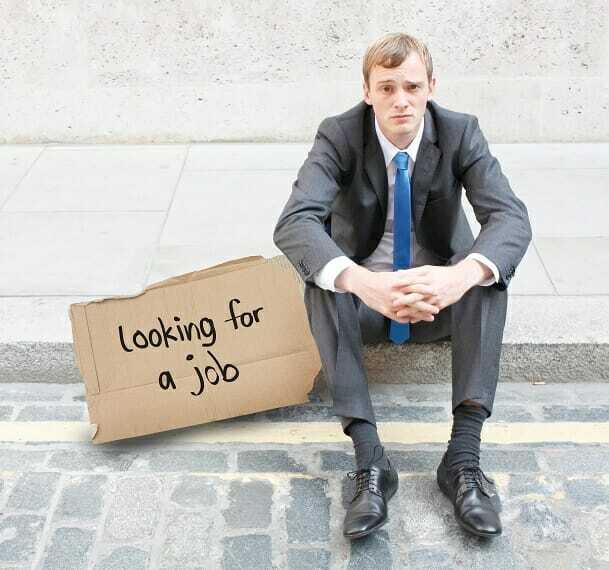 The unemployment rate is important, as it is economically linked to inflation and interestSimple InterestSimple interest formula, definition and example. Simple interest is a calculation of interest that doesn't take into account the effect of compounding. In many cases, interest compounds with each designated period of a loan, but in the case of simple interest, it does not. rates. What is the Frictional Unemployment Rate? The frictional unemployment rate is the percentage of the total labor force that is voluntarily unemployed due to the workers’ decision to transition careers. The worker could be making a transition from one job to another or choosing to be temporarily unemployed, while looking for a job that better matches his/her skills, wage pay, location, and other factors. To calculate the rate, the total number of frictional unemployed workers is divided by the total labor force, then multiplied by 100 to get the percentage. The current, accurate figures for frictional unemployed workers and the total labor force can be obtained from the National Statistics Agency or the Bureau of Labor Statistics offices. What is the Structural Unemployment rate? The structural unemployment rate is the percentage of total labor force that is involuntarily unemployed due to mismatching skills, technological changes, business competitions, or government policies. The actual figures for the structural unemployed workers and the total labor force can be obtained from the National Statistics Agency or the Bureau of Labor Statistics offices. What are the Causes of High Cyclical Unemployment? Usually, cyclical unemployment starts to climb when the consumers’ demand for goods and services begins to decrease which results in a decline of business revenue and, in turn, prompts the company to lay-off workers to maintain profit margins. More often than not, the economic event that actually triggers this is a stock StockWhat is a stock? An individual who owns stock in a company is called a shareholder and is eligible to claim part of the company’s residual assets and earnings (should the company ever be dissolved). The terms "stock", "shares", and "equity" are used interchangeably.market crash. A faulty crash can cause a recession manifested by market panic and loss of confidence in the economy. A company’s net worth deteriorates as stock prices increase. Because of this, consumers delay purchases until market confidence is regained. How Does the Government Address the Issue of Cyclical Unemployment? The initial solution, taken by the government to solve the issue of climbing a cyclical unemployment rate, was to use the expansionary monetary policy. This policy is implemented by central banks, primarily to energize the economy. Central banks will create money to buy government securitiesMarketable SecuritiesMarketable securities are unrestricted short-term financial instruments that are issued either for equity securities or for debt securities of a publicly listed company. The issuing company creates these instruments for the express purpose of raising funds to further finance business activities and expansion. from the market in order to lower interest rates and increase the money supply. These economic conditions will then trigger financial institutions to promote an increase in lending and to make the money supply more liquid to the public. Macroeconomic interview questionsEconomics Interview QuestionsThe most common economics interview questions. For anyone with an interview for an analyst position in at a bank or other institution, this is a guide. While there are an unlimited number of economics questions you could be asked, these questions will give you a sense of the types of questions you could get.